James Hower, LUTCF earned his Bachelor of Arts degree in Business Administration from Moravian College in Bethlehem, Pennsylvania in 1988. Over the years he has continued his studies in business and personal insurance planning as well as retirement planning. 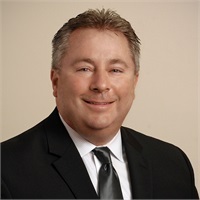 Jim is one of the managing partners of Premier Planning Group, a relationship driven comprehensive financial services company and is the manager of the Glen Mills Pennsylvania office. His practice focuses on business and personal financial strategies, investment counseling and management, retirement planning, insurance, employee benefits and business succession planning. Jim is licensed to sell insurance in PA, MD, NJ, DE and securities in PA, AZ, FL, OH, CA, DE, NC, NJ, and MD. Jim is also the owner of H & M Financial Group, Inc which is a licensed insurance agency that sells group insurance benefits- life, short and long term disability, medical, dental and retirement plans- as well as administrative services for Health Savings Accounts, Flexible Spending Accounts, and COBRA Administration to local businesses. Jim has over 20 years experience in providing insurance and investment strategies to professionals and businesses. He makes his home in Kennett Square, Pennsylvania with his wife Sharon and two children- James and Jordan. In his spare time he enjoys golf and watching his children’s sporting events.